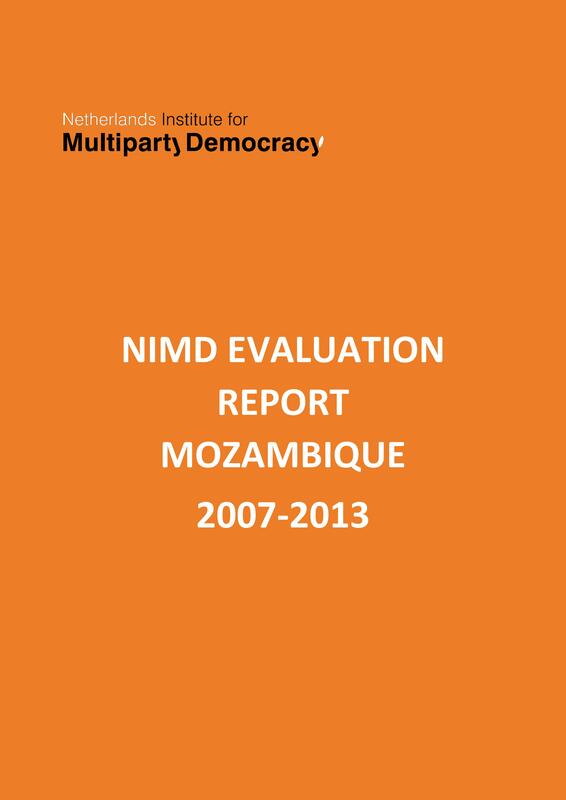 NIMD has been working in partnership with the political parties in Mozambique for over 12 years and has an NIMD Country Office in Maputo since 2003. The programme has not been evaluated since the official start of NIMD’s presence in the country (after the hand-over by NZA end 2002). With the general elections in Mozambique in 2014, a review of NIMD’s efforts in Mozambique was considered to be timely, as it could contribute to a rethinking of the programmatic and organisational strategies in the future. The outcomes of the evaluation should provide an insight in the achieved results and impact of the programme vis-à-vis the political context, as well as provide recommendations on strategic repositioning. A complete overview of all conclusions and recommendations can be found in the report below.